With support from the Mario and Alma Pastega Family Foundation, SamCare Mobile Medicine brings basic health care services to schools and community locations. Do you know of a school, business or community location where SamCare Mobile Medicine can make a difference? Let us know! 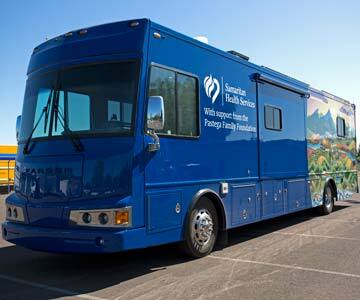 Thank you for your interest in SamCare Mobile Medicine. Please allow two weeks to review your request.